Looking for something fun to do in Paris? There are always amazing events happening in and around Paris, but if you don't speak French, it's hard to be informed. 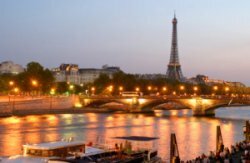 So we created Parisadvice.com to help you enjoy visiting or living in Paris. We check local newspapers and magazines, surf the web, and compile our own lists of interesting and fun Paris events. We also have tips, top 10 lists, and information that will make your stay in Paris easier and more enjoyable. The Petit Palais presents the first ever retrospective of the works of famous French fashion designer Yves Saint Laurent. Hurry... Grounds Tickets still available for the famous French Tennis Open for only 21 euros! A selection of 120 vintage prints from Paris in 1930's to New York and San Francisco in the 1950's. Enjoy the diverse Photography Exhibitions Paris has running in many famous museums and art galleries around the city. Check our insider's guide for pricing, dates and locations. Whether you're looking for a large Paris Art Exhibitions or just a small intimate museum check our insider's guide for all the latest information on what's showing in Paris. Paris Sports Events include international soccer and rugby matches, tennis, horse racing, cycling and lots more. Find out where the events are held and how to get tickets. Some of the worlds best food and wine events are hosted in Paris and we've got all the information you need to find them. If you're visiting Paris for the first time or if you're a frequent visitor these tips will help you make the most of your visit and show you some hidden treasures. Would you like to share your knowledge about Paris? Great, find out how you can submit your story or tip here.